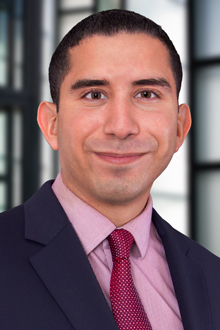 Dallas Associate Michael Gonzales will present at the Chartered Property Casualty Underwriters (CPCU) Society Alamo Chapter’s All Industry Day, in San Antonio, on Wednesday, September 12 at 2 p.m. CST. The CPCU Society’s annual “I-Day” event will highlight various underwriter industry topics, including how to prepare the industry for the future. Mr. Gonzales’ presentation, entitled “Concurrent Causation: Policy Language and Hurricane Harvey Litigation,” will cover the implications of natural disasters to claims handling, underwriting, and the insurance industry overall. The CPCU Society exists to provide leadership and professional development opportunities to industry professionals, while mentoring aspiring professionals so that they may serve the community in a competent and ethical manner.